Congratulations to the Dakota Varsity Women's Volleyball Team and Coaches! This past Saturday, coach Tracie Ferguson led the Cougar Volleyball Team to Dakota's first volleyball State Championship! The Cougars won every game and match during the tournament!! Congratulations on an outstanding season!! A special 'congratulations' goes out to Tori P., who has been wearing one of our masks for nearly 2 years! Well done, ladies! How do I get a facemask? Learn the steps that you will need to take in order to get yourself a custom facemask by clicking here. 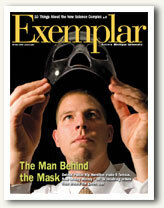 Learn about the Piston who got a new mask. Learn more about the areas of orthotics we specialize in. Read our list of Frequently Asked Questions to learn more. 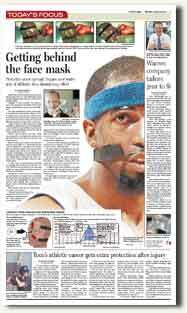 Read the article about Richard Hamilton's mask here. 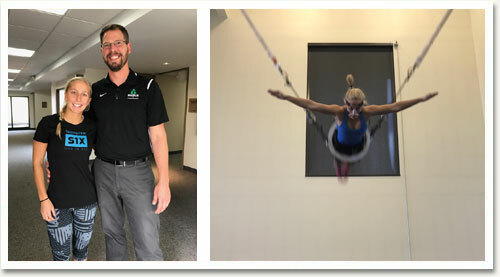 Read the Ashlee Ginn testimonial. Please take our Patient Satisfaction Survey and tell us your opinion. We will help with your insurance questions. 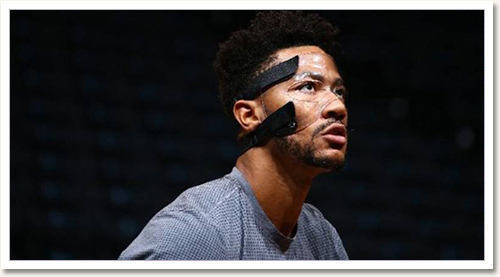 MurrayMasks would like to say thanks to certified athletic trainer Jeff Tanaka, Derrick Rose, and the Chicago Bulls for the opportunity to work with such an excellent team and talented athlete. Best wishes in the future! After an errant hit to his nose by Dwayne Wade in the 2012 NBA All-Star game, Los Angeles Laker Kobe Bryant has been wearing a protective facemask. During the Lakers stop in Detroit, three new custom masks were made for him by Jeremy Murray of Michigan Hand and Sports Rehab Centers in Warren, MI. Thanks to Kobe Bryant, Gary Vitti, and the rest of the Lakers organization for the opportunity to work with such an amazing athlete!